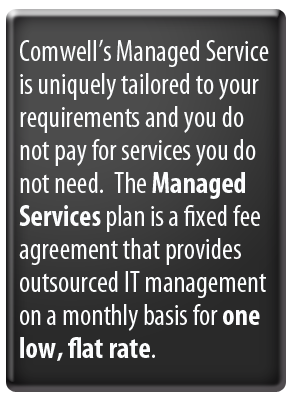 Comwell Systems Group is a IT Solutions Provider servicing customers in the lower-mainland since 1986. We have been helping businesses overcome their IT challenges by offering custom tailored solutions that fit our customer’s business models. Calling Comwell Systems means speaking to a live person who will assess your technical challenges and direct you to the proper resources. With us there are no phone options to choose from, immediate assistance from a technician ready to assist with your question. Comwell Systems combines the required experience, exceptional talent and quality assurance to help our customers achieve stability and success.